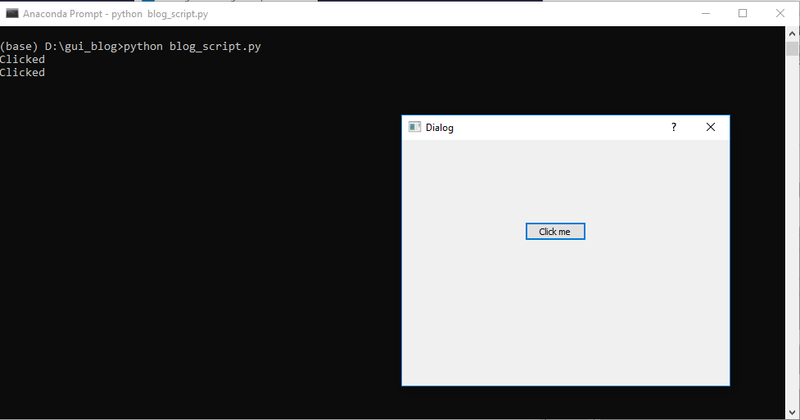 I wanted to put a brief guide together to show how simple it can be to run a script in Python via a Graphical User Interface (GUI). I have thought about this idea for a while; I’ve wondered whether non-coders see coding as building ‘windows’ type graphics. Other than writing some simple scripts for QGIS plugins in 2018, I don’t think I built a single GUI for any Python script I wrote. I mainly write scripts. The beauty of a Python script to do a quick task is that you can call it at the command line, perhaps parse in arguments and off you go. If you get any errors you can open up the code, change it and run it again. 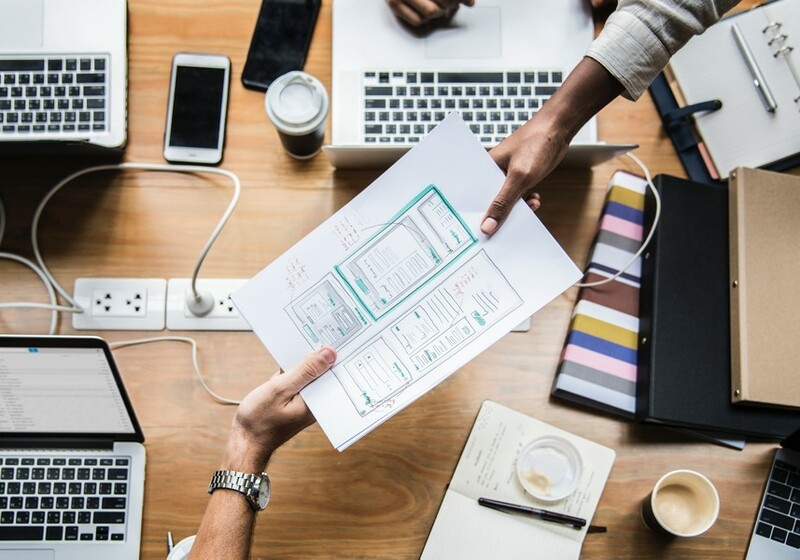 It is pretty simple to share a piece of code, for a simple script is just one file. If only one person is going to run the code, is the extra time taken to build a GUI worth it? GUIs can quickly get super-complicated and over-confuse the user. Have a look at the cartoon on this page hopefully you get the idea. Users might prefer to click a button rather than type commands. It might encourage you to build a logger (more in part 2). It’s more potentially a more fun way to present code. I am going to assume that you have Qt Designer at this point. There are other ways to build GUIs in Python – check out this link if you’d like to explore more options. From the pop up ‘New Form window’, select ‘Dialog without Buttons’ and click on create. Your screen should look similar to below, with some tools, a Widgets Bar on the left and Object Inspector, Property Editor and Resource Browser on the right. We are just going to create one button, which will, when clicked, call a simple print script which will print an output to the command prompt. There is no real reason for doing this, it is only to show how it works. You could replace this with a ‘Geospatial script’ that did some geoprocessing of some type. 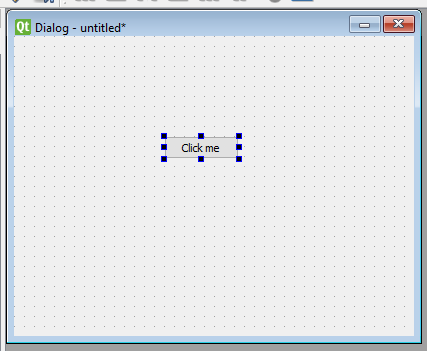 From the Widget Box, click and drag the Push Button to the Dialog box you are creating. Once there you can resize it, if needed. Double click on the button and rename it to ‘Click me’. That’s it – we are done for this very simple example. You can obviously add more controls and adjust properties as needed, but for this simple example this is enough to get basic principals. Save the file. 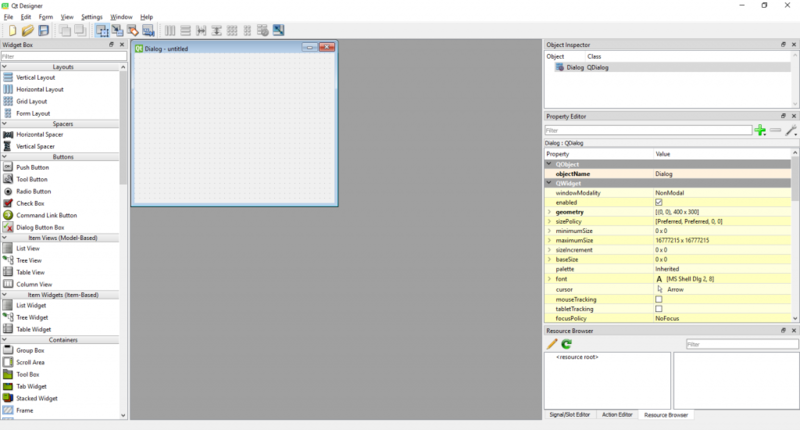 In my example I have called the file blog_gui.ui. …you should get a Python GUI! Sadly, though you can click on this button as many times as you like, nothing will happen. Let’s get the button to print to the command prompt on user click. 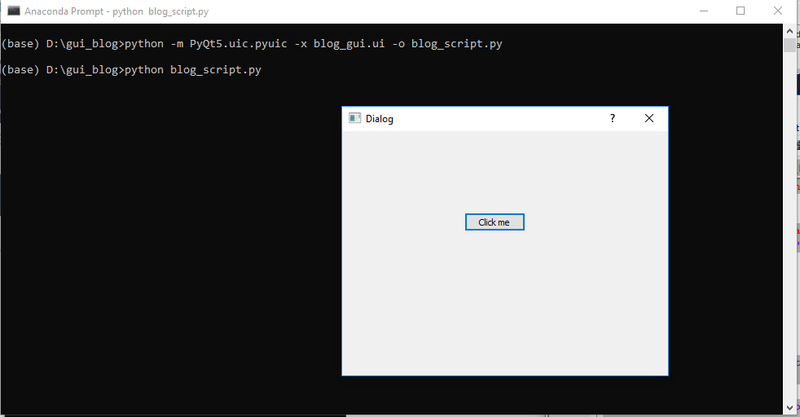 Open the blog_script.py in a text editor. That is all the code. We just need to add a button click event and something to happen on that click. Firstly, create a new function under the class. In that function we will just print ‘Clicked’. This function will be called print_something and it takes self as an argument. Save and run again and click on the button. The command prompt should return ‘Clicked’. Obviously this is a super basic example. Hopefully though’ it will give you an idea of what is possible. Hopefully this makes some sense. 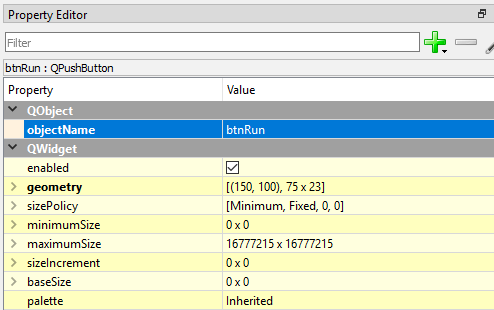 If you rebuild your .ui file then you will need to remember to re-add the code described above. 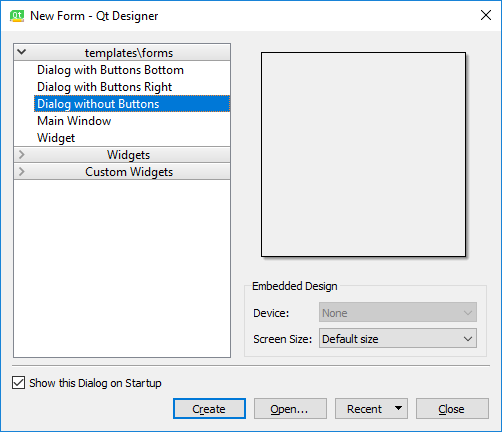 There is heaps more functionality in Qt Designer. Have a look and explore what you can do. I really hope this has been useful. It was great for me to refresh on this topic after a long time without building GUIs. In part 2 I’ll take a look at loggers. 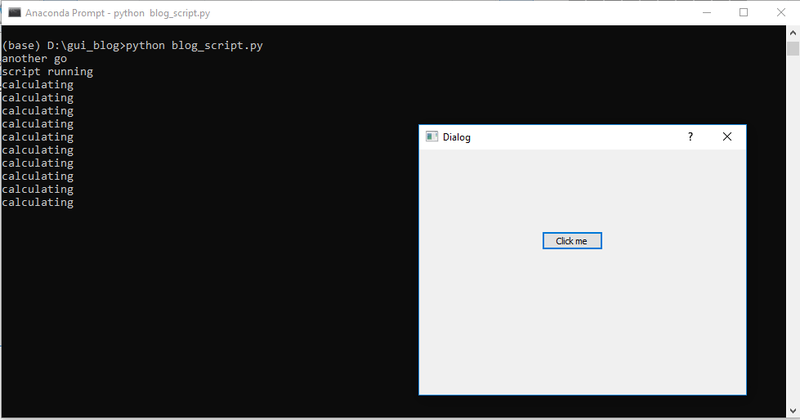 This entry was tagged gui, python. Bookmark the permalink.